My youngest son yesterday was asking me about dog breeds. He said he liked the one in the movie "Babe 2: Pig in the City" which, he said, had the face "like this" (he makes a face thinking it will look like the dog's face... ok right), "You know, Papa, the dog whose face was thin and long." I wondered if it was a poodle or an afghan, he said no (he knows those). He said it was the dog that falls in the canal, the mean dog that Babe the pig rescues. So I thought, I'd go to google images or bing images and search "babe" and "dog" and see with my son what popped up. "Babe" + "dog" = Oops. I'm now a convert to "safe search" option. Talk about unintended consequences! I closed the laptop in time, I think. 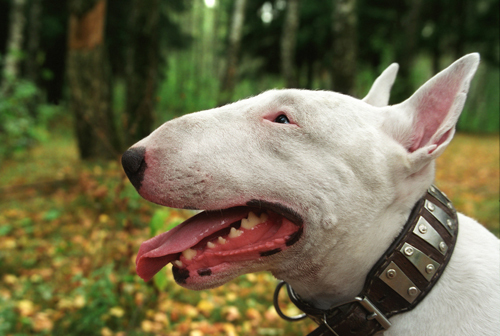 (It's a bull terrier).